Truly anonymous and secure file sharing. 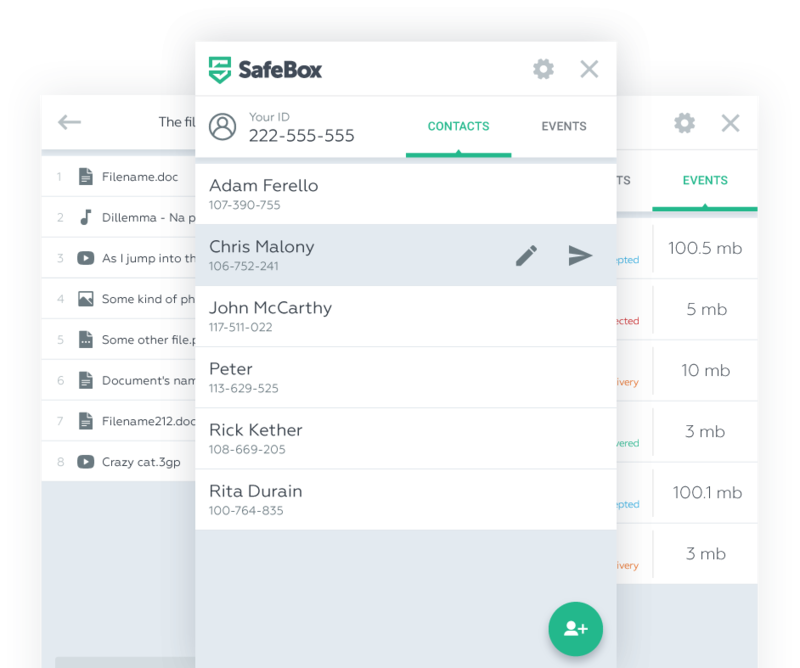 Thousands of people trust SafeBox dozens of thousands of files. Join them and share your data with the most secure online cloud and communications provider from independent developers. We are an independent international development team. Among us, there are both designers and programmers. The project initially began as a hobby and as a result grew to its current state. In the development of our project, we have always focused on 2 things: security and anonymity. Our huge difference from similar projects is independence. No one can influence our project, its architecture, the development process. The project is being developed at our own expense, but we welcome donations. but we do not exclude that if there is a shortage of funds to support the project, we will be forced to introduce paid tariff plans. No registrations. Immediately after installing the application, you can start sharing files. Proven standards of cryptography (PGP, RSA 2048). There is not a single case of hacking data encrypted with PGP using full brute force or cryptographic algorithm vulnerability. as soon as the recipient receives the file, it is instantly removed from the cloud. Thus, it is impossible to get files to anyone other than the addressee. Minimalistic application with an intuitive interface. File sharing has never been easier! PGP is a computer program, also a library of functions, allowing you to perform encryption and digital signature operations on messages, files and other information presented in electronic form, including transparent data encryption on storage devices, such as a hard disk. RSA is a public-key cryptographic algorithm based on the computational complexity of the problem of factoring large integers.